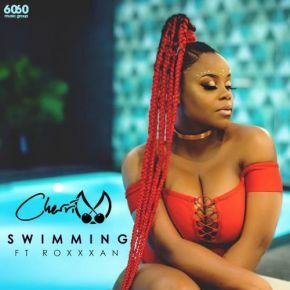 British R&B/Soul songstress Cherri V began the year with her exciting new single ‘Swimming’ featuring Birmingham rapper RoxXxan, which has been garnering strong early support from BBC 1Xtra, The Beat London, Reprezent Radio, ILUVLIVE and SingersRoom, among others. Now, she he returns with the accompanying visuals for ‘Swimming’, premiered exclusively via 1883 Magazine. Produced by Asylum 33, who have previously worked with Tinie Tempah, Mr. Eazi, Shakka, and Bonkaz, among others, the music video for ‘Swimming’ sees Cherri V and RoxXxan bringing a more relaxed and organic visual element to the experimental R&B offering, as they party among friends, while Cherri V gets to know her leading man, without the usual pressures that come with meeting someone new. Speaking especially about those pressures, and how her ‘Swimming’ music video speaks directly to those real life situations we all face when looking for love, Cherri V explains, “There’s nothing like meeting a guy through friends, ones who can vouch for him and give you that casual introduction. No pressure, just friends amongst friends, getting familiar in a relaxed setting”. Expanding on the inspiration for her ‘Swimming’ visuals, Cherri V adds, “I’m glad Asylum 33 (who produced the video) were able to capture that house party relaxed feel. I also wanted to take a little more of a casual approach for this video, compared to 'Leave Me Be', and shove my real friends in front of the camera lol. The shots in the pool were a highlight for me! I’m really proud of this visual”. Check out the video in our box above.